MinecraftLovers - Survival With A Twist! We’ve been here for 5 years, and aren’t going anywhere any time soon. Its semi-vanilla, which means we have a couple convenience things added, but otherwise its the same gameplay you’ll find in a regular world. Our community isn’t huge, but we always have people online to build and grow with. 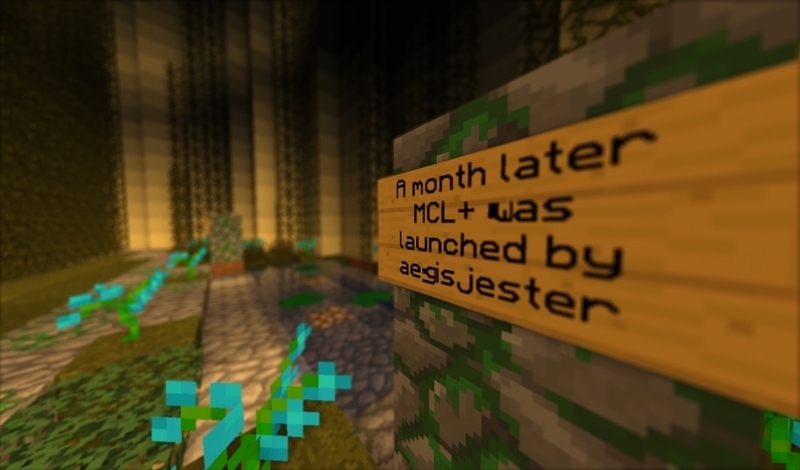 Other “semi-vanilla” servers come and go by the dozen, but not us: we are simply the best there is. If you join, you’ll find a great group of people to play with. 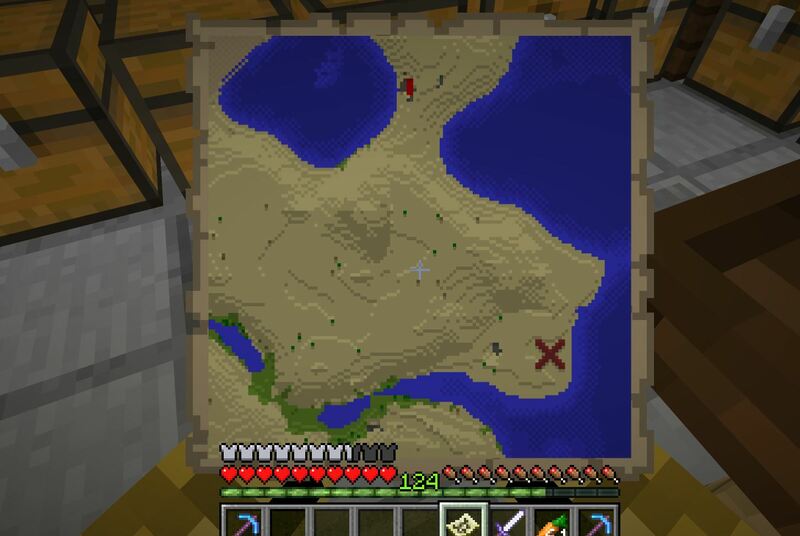 You won’t be griefed, but you won’t find any area restricted from building or mining either. 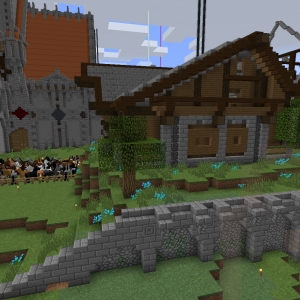 You’ll have a great group of people to show off your creations, or get some ideas on how to build bigger or better. You can join in on really massive projects that have been in the works for months, or even start your own – we always have people eager to help work on something new and exciting. You won’t be pestered for donations or bothered by overbearing staff – we have a couple of mods who started just as regular members, because our community has been evolving over time to just be very welcoming of great new players, and quickly nipping troublemakers before trouble has much of a chance to start. 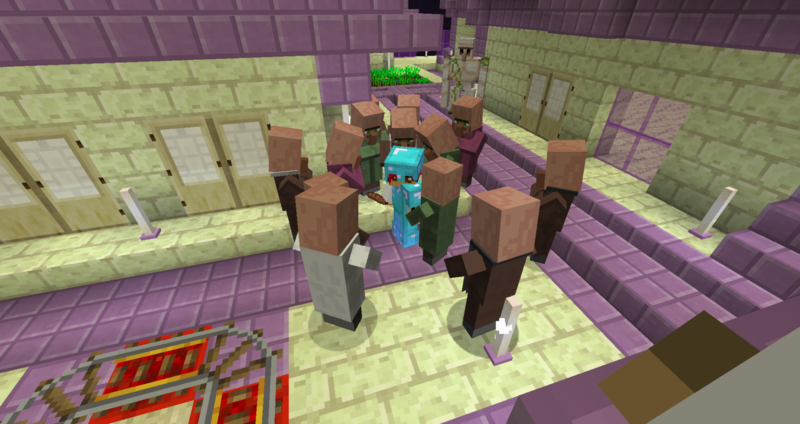 This is a whitelisted server! To join, please fill out the form on the right side of the page. No afk/auto mcmmo stuff. This means no auto/afk fish, acrobatics, etc. Your skills will be reset. Note: You are free to afk farm, and automate anything that does not yield mcmmo xp. Taming is also an exception, as there are no reasonable methods of training it. We love survival! There is no creative building allowed, not by staff, not by owners, by nobody. Everything you see was built, block by block, by all the awesome people around! That doesn’t mean there isn’t some seriously cool stuff around though. Just around spawn you can find mysterious underground cities, the most efficient furnace possible in minecraft (breaks the hopper speed limits! 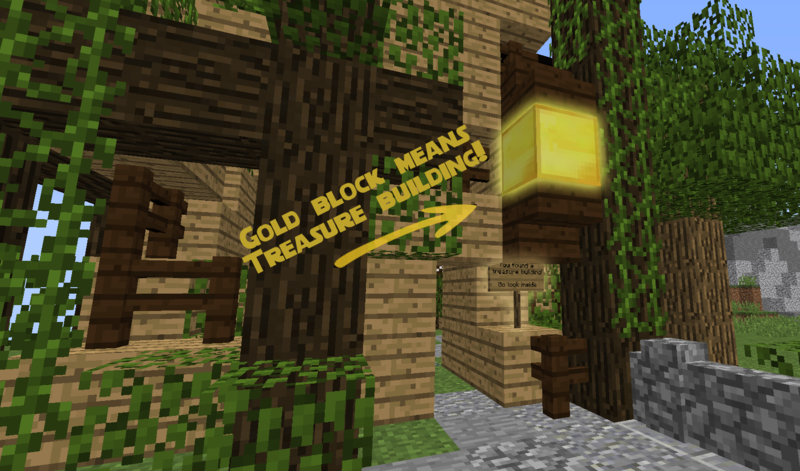 ), a rail network spanning multiple continents, and player-built shops! There’s also tons of stuff to do around the world, all of it coming from the community! 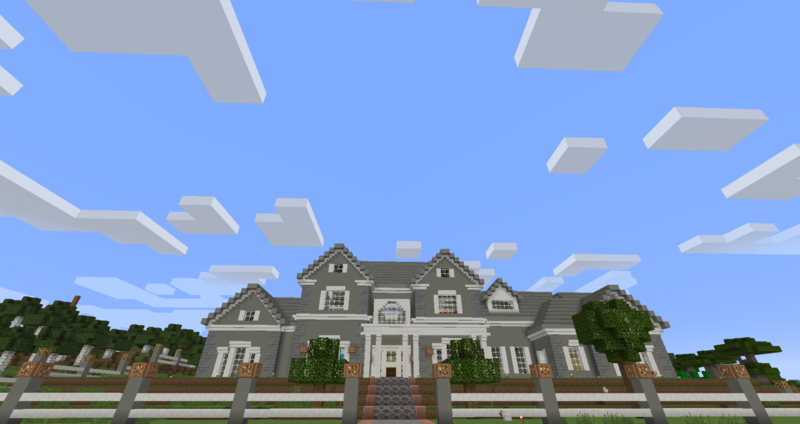 We have no rules about who can build where, so everything you see was built because someone who joined on this thread thought it would be cool! Give yourself a nickname and change your name color! 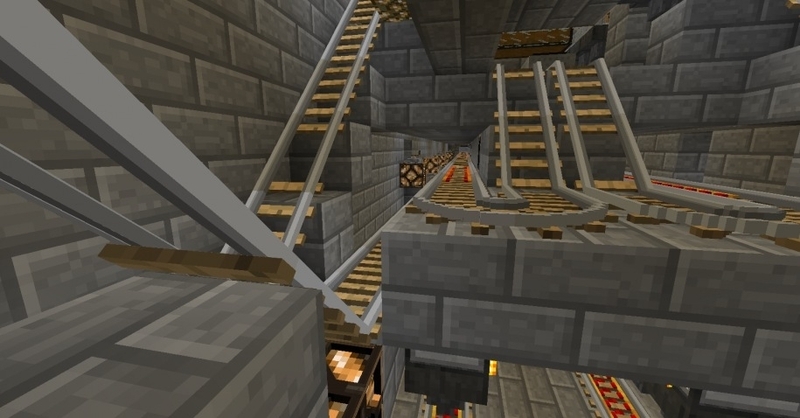 Faster minecarts: our rails move up to 4 times faster than normal on transport routes! 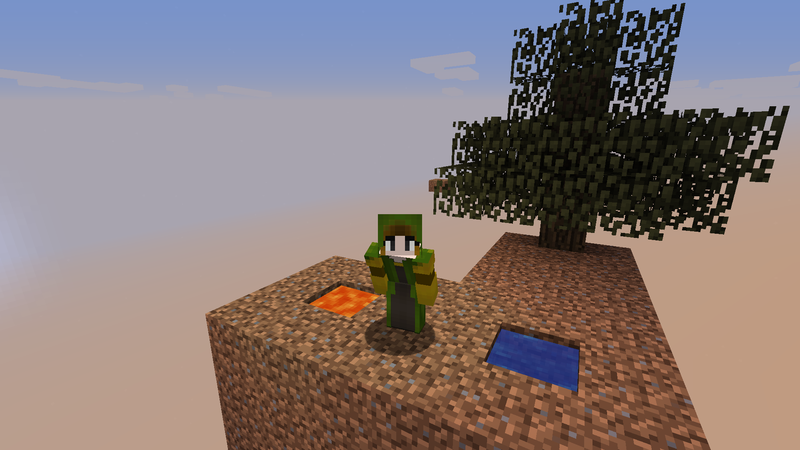 EnderSurfer: Use Enderpearls to bounce through the air and travel great distances! 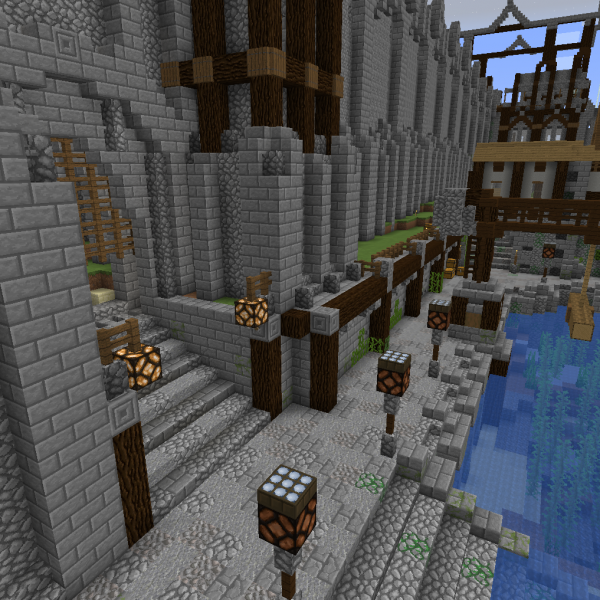 Essentials: Teleport to other players instantly to join in adventures, or show off your base! Creepers can’t damage your builds! Live Map: See all builds, in 3d, in real time, with player locations and cave maps! Click Here to see! Discord Server: We have a discord server synced up with the in-game chat, so you can keep in touch via discord, chat, or both! We also have a lot of stuff to keep things interesting! If you like building a base near others, you’re in luck! 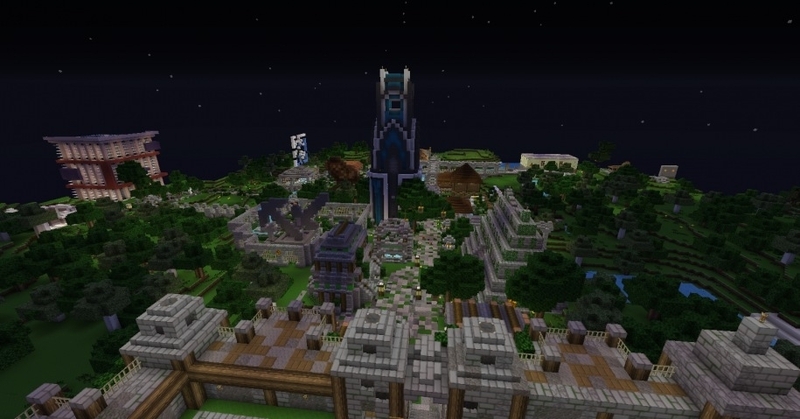 We have multiple towns and villages where people get together to build something amazing! If you’re more of a loner, that’s fine too! We have several “themed” towns currently under construction throughout the server, from “Dystopian Autocracy”, to “Medieval Wonderland” to “Modern City”, and all points in between! Explore to find massive hidden builds, from intricate sewer systems with rewards for exploring, to abandoned research centers harboring dangerous secrets. Rails, Rails, and more Rails! We love big projects! 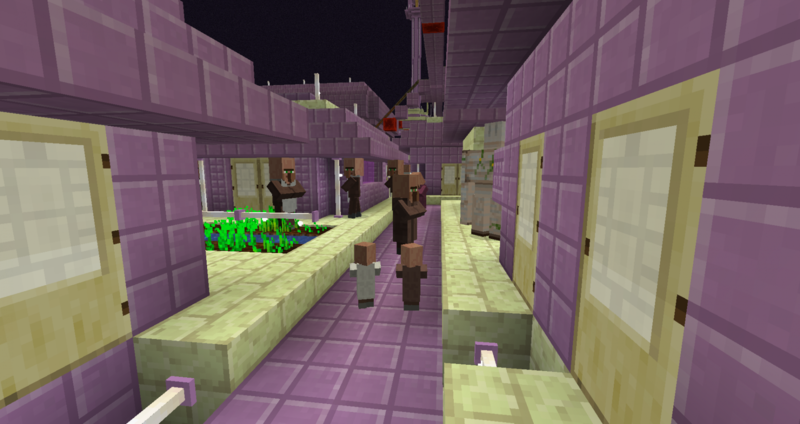 There is a rail network between every town (active and inactive), both using tunnels in the regular world and through a nether hub. 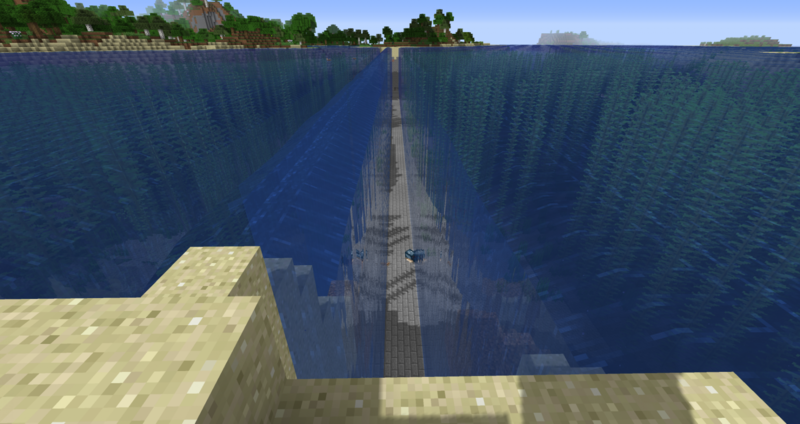 Currently, we are expanding our rail network to new areas players have explored, and plan to connect every biome! If you love rail networks, we want your help! Once you have a base set up, we love helping make something BIG! 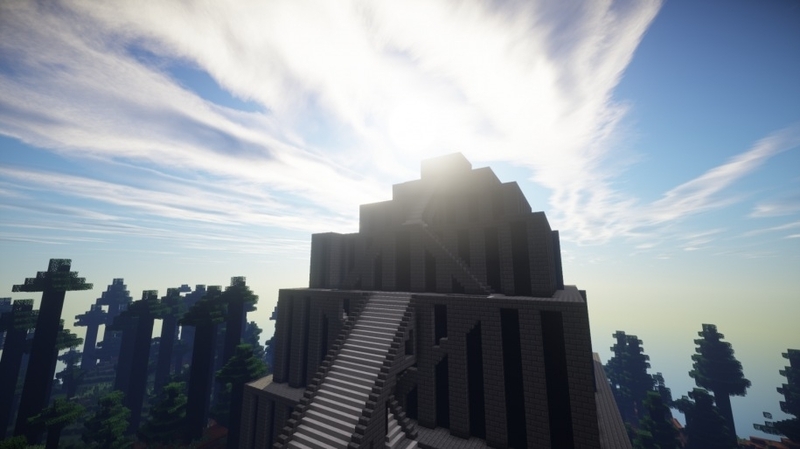 In addition to the rail network, you can find other huge builds dotting the landscape, like a Sumerian ziggurat that stretches into the sky, or a 1:1 replica of the Roman Coliseum! 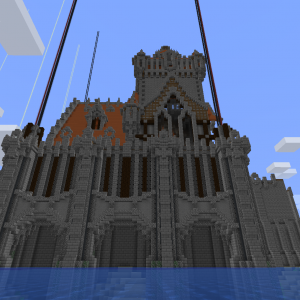 You can join in building an ongoing project, or start your own and get help! Love skyblock challenges? 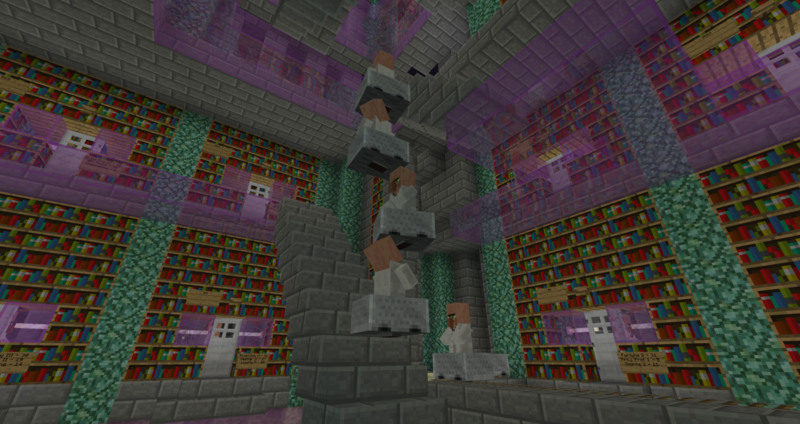 We have both solo and team skyblock challenges! 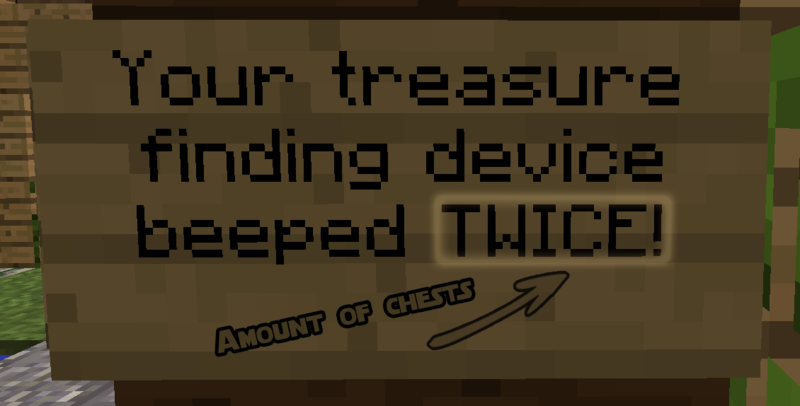 Finishing the skyblock challenge isn’t just fun – successful completion unlocks special perks! 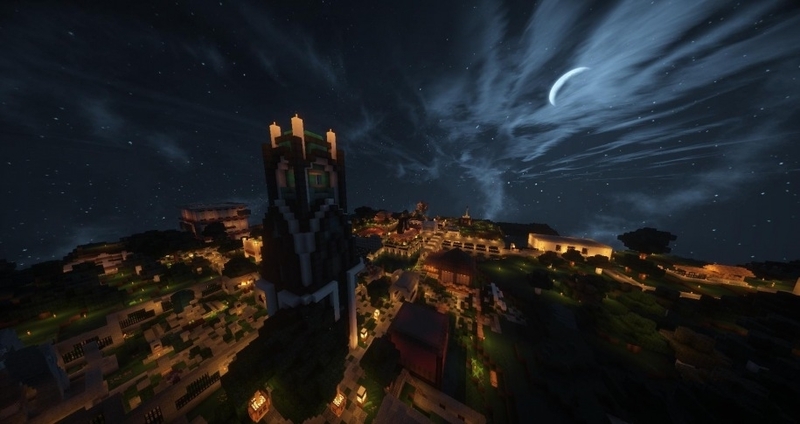 Skyblock is the most famous (and popular), but there are also other challenges available – complete them for perks and rewards! 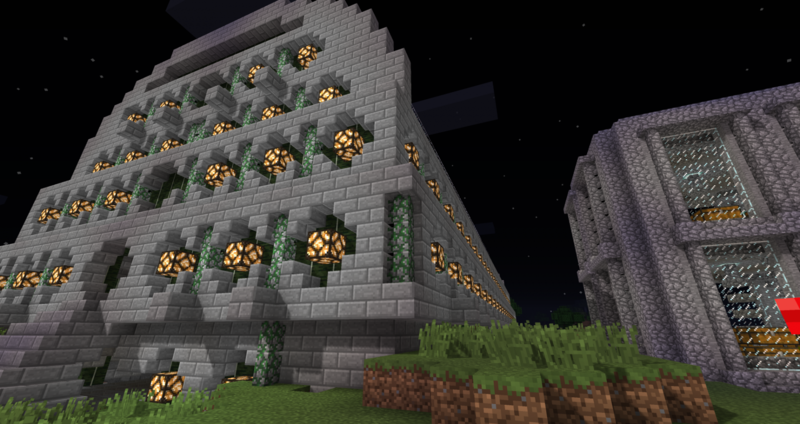 We don’t have “Staff Builders” – that means all public buildings around Spawn come from awesome creations from our members! We hold regular “build challenges” where you can create a design for a new build at spawn (like a public nether portal, or new shop buildings). The community votes on their favorites to decide what gets moved to spawn! We also have other challenges for holidays, or just for fun. You can see what’s happening now on our Events page!